Previously, we flew from Gimpo Airport, Seoul via Air Busan. Air fare 2 person at KRW105,700 (RM400). We arrived at Jeju International Airport around 3:30pm. We will spend another 3 days here. 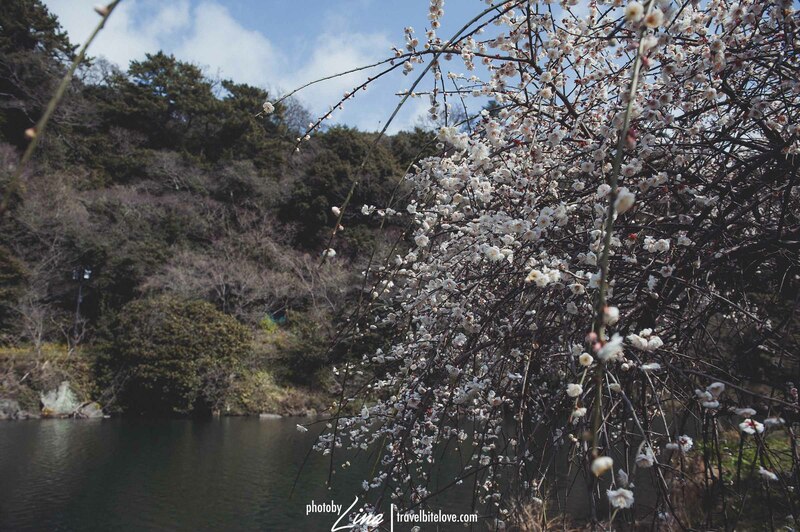 February 23rd – Flew from Gimpo Airport to Jeju Island. Took Bus from airport to Bus terminal then to the first planned destination, Seongsan-ri. 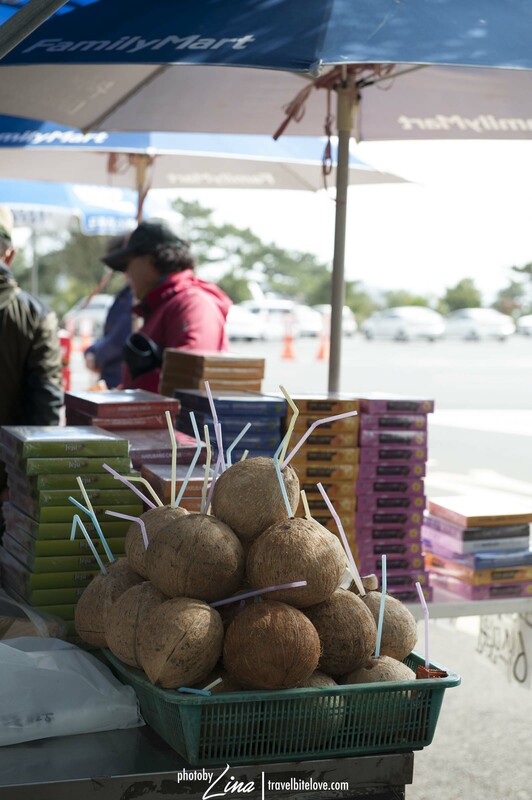 February 24th – Catch bus to Seogwipo. Visited Chilsimni Food Street, Jeongbang Falls, Cheonjiyeon Falls, Ripley’s Believe it or not Museum, Teddy Bear Museum, Daepo Jusangjeolli Cliff. Back to Seongsan-ri ont he last bus at night. February 25th – Today we climbed up to Ilchubung Sunrise peak. We spent half day here. At noon, we took a bus back to Jeju City. Checked-in hotel. Took 20 min bus journey to Saryeoni Forest Path. Visited Dongmun Market and Jungang Underground Shopping Center. On the way back, we take a stroll walk around backstreet City Hall area and had coffee at Angle in-us coffee. February 26th – Early morning catch flight back to Gimpo Airport. end the trip. From the airport, we took bus No.100 (bus no 95 also going to bus terminal ) journey about 15 Mins to Jeju bus terminal, fare per person KRW1,200. From the bus terminal you can take buses (either east coast line or west coast line) and reach many tourist attractions along the coast. An important tips to remember is that from Jeju bus terminal to the airport, you have to take bus No.70 and 95 from the bus stop across from the terminal. No.100 doesn’t run to the airport from the bus terminal. We took bus no 700, start from the bus terminal and run all the way to Seongsan Ilchulbong. Fare per person is KRW3,300. Distance is about 45KM, approximately 1 hour 20 Minutes. The bus number and the route have been changed. 710 and 710-1 start from the bus terminal and run all the way to Seongsan Ilchulbong. No. 700 does not exist anymore. 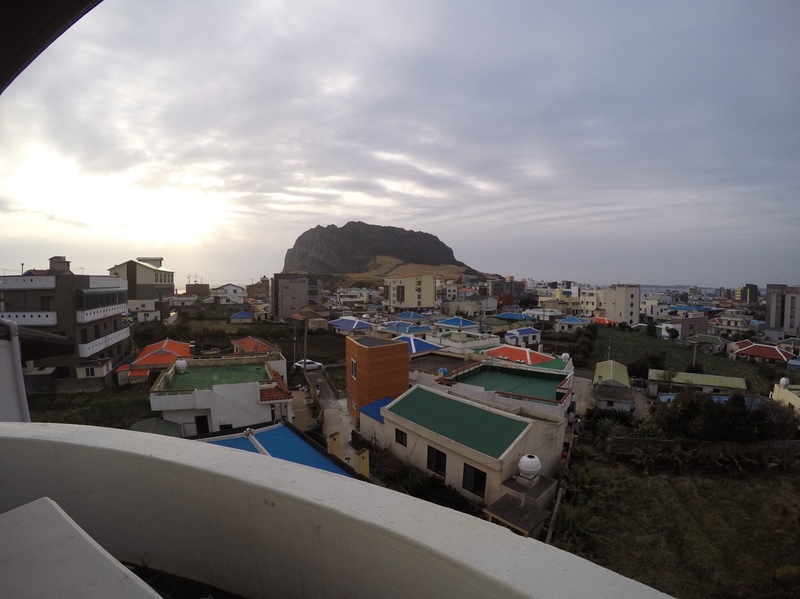 Once arrived at Seongsan-ri, we walked to our hotel at Ilchulbong Tourist Hotel. Very difficult to find the hotel because we alighted from the bus too early. Hence, we have to walked very far. We stayed in Standard Double room for 2 nights, cost at MYR348.92. We choose this hotel because its cheap and within walking distance to the Ilchulbong Sunrise Peak. The bus stop and restaurants are within walking distance too. Here, no night activity in Seongsan-ri, its very quiet, by 9pm everybody close shop except the bar we found at the corner before turning left to our hotel were still open. We managed to eat dinner before the shop close. As usual, I really enjoy eating korean food especially kimchi soup. This meal cost us KRW16,000. 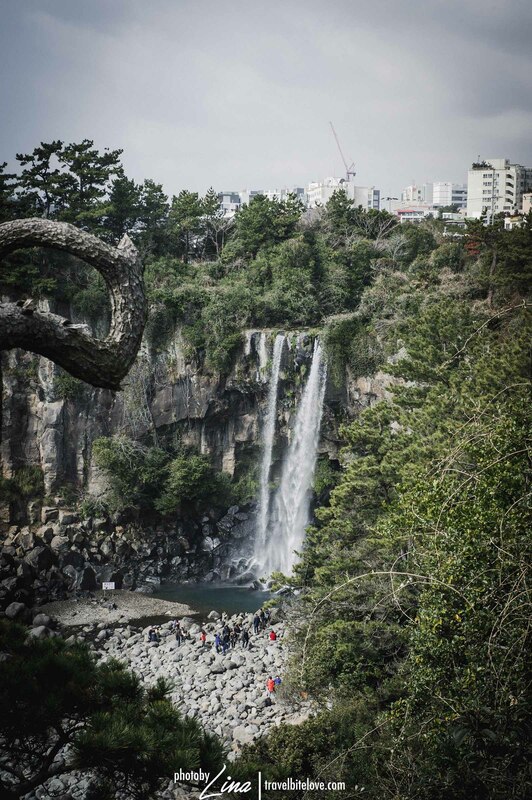 We spent 1 full day just for traveling from Seoul to Jeju. No sightseeing activity for today. Back to hotel after dinner and rest. Today, we had quick bite before heading to Seogwipo, journey 1 hour 30 min by bus. We catch bus no780 from the bus stop near our hotel. Bus fare per person was KRW3,300. We alighted at Chilsimni Street Food. Had lunch here and walking towards Jeongbang Falls. We had a nice walk in the park near the Chilsimni Street until Jeongbang Falls. This waterfalls has entrance fee, KRW2,000 per adult. Typically people spend 1 hour here. This unique waterfall goes directly to the sea. The walk leading to this beautiful fall, which comprises a set of stairs, could be a challenge to some but I can guarantee that it is totally rewarding. 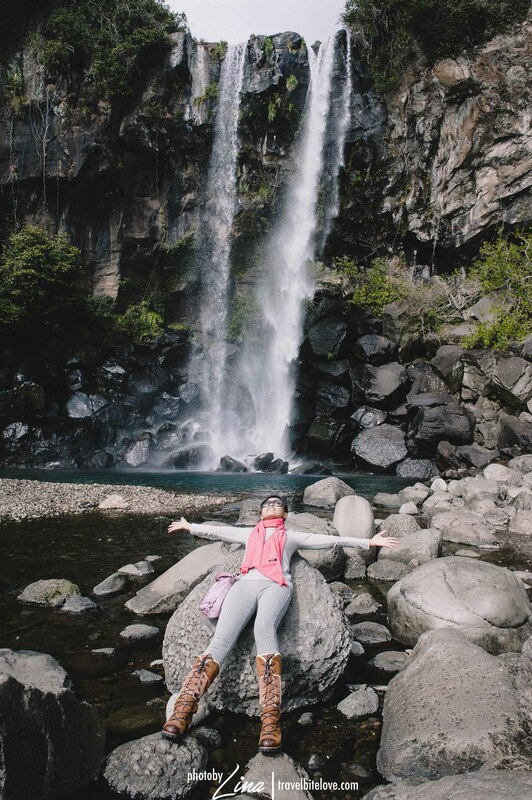 Once can get really close to the waterfall and feel the power and beauty of nature. Its splash is so soothing and refreshing. Keep an eye around you while there as rainbow may appear next to you anytime! A big arc of rainbow just happened to surround us, how lovely! Next attraction we visited was another waterfalls nearby. We took a taxi for KRW2,800. to reach to Cheonjiyeon Falls. 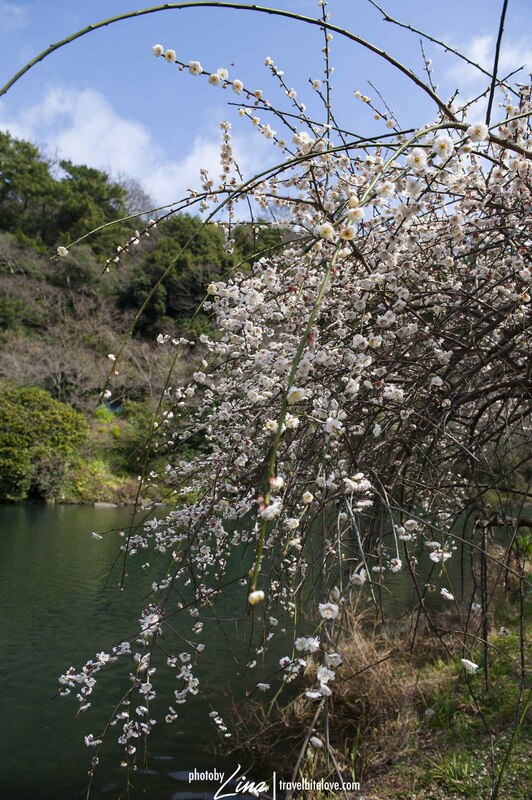 Once we stepped our foot here, some cherry blossom flowers are sighted at the edge of the river. 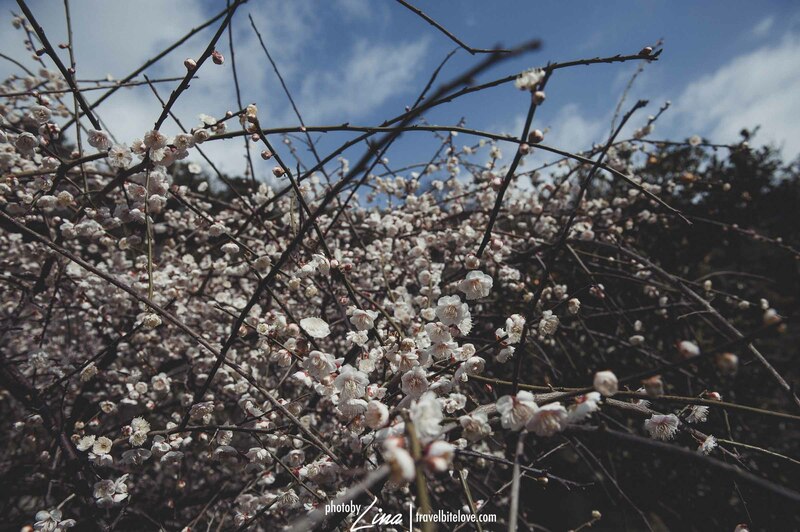 How beautiful the spring are coming!. 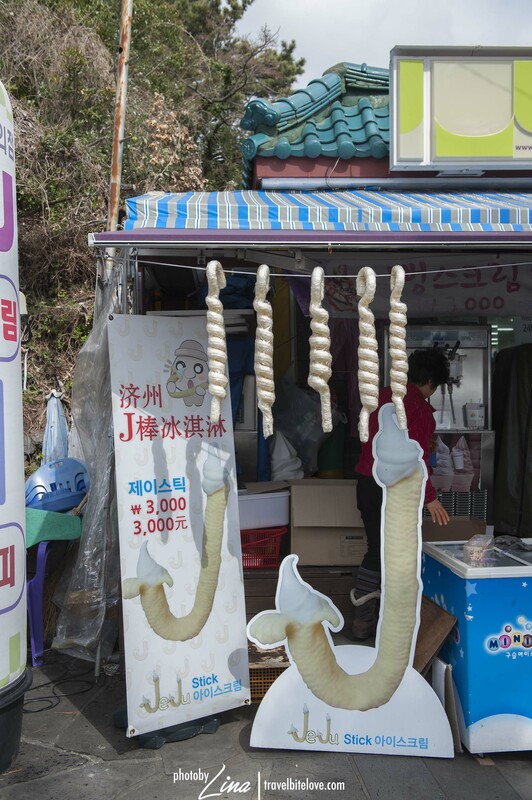 Entrance fee for this attraction was KRW2,000 per adult. The only Waterfall without any stairs! From the entrance it is a 400m walk. 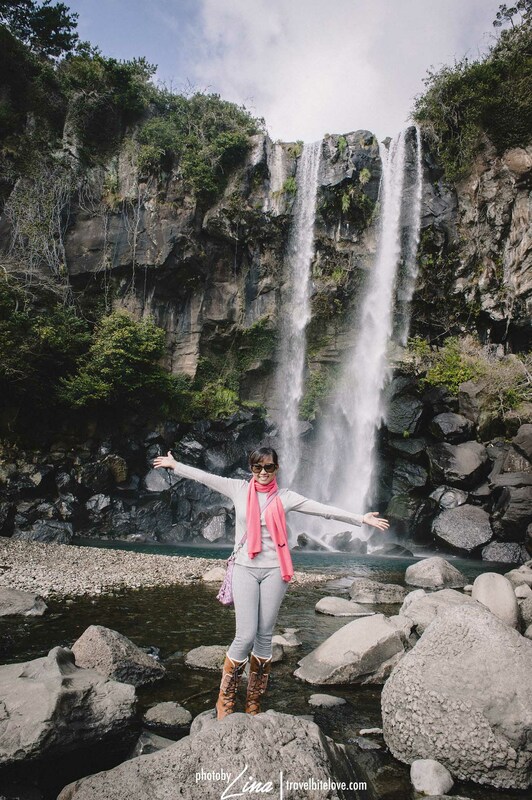 It is a beautiful Waterfall and the scenery is so beautiful and calm, loved it. 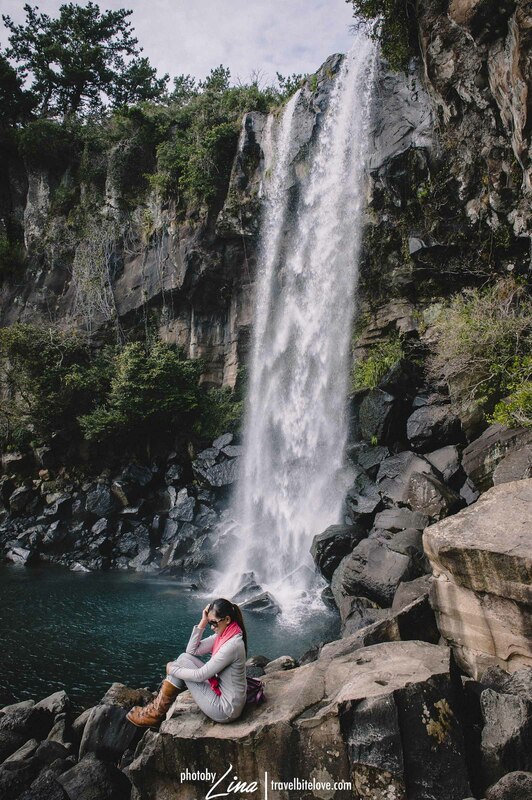 In my opinion not the best place to make pictures with the Waterfall but the view is just lovely. 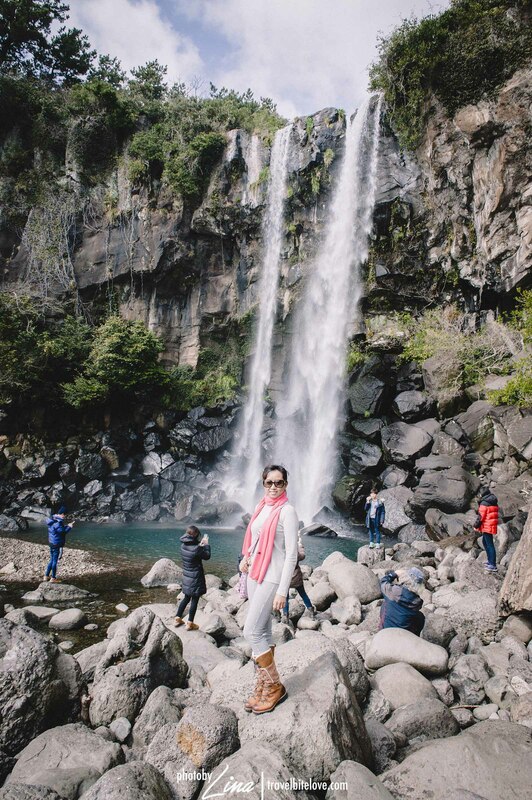 Too crowded with tourist, we have to take turn to snap some pictures with waterfall background. After nice walk at the waterfalls, we had lunch at Paris Baguatte, situated along the carpark before depart to the next attraction of the day. Paris Baguatte cafe is a famous cafe in South Korea, we always see this cafe at most places during our trip. Quick lunch meal for sharing cost us KRW14,000. About 2:30pm we took a taxi to Seogwipo bus terminal then catch bus to Jungmun Tourist Center.